This review has been in the chamber for a while as Vice City Nights was released just over a month ago. 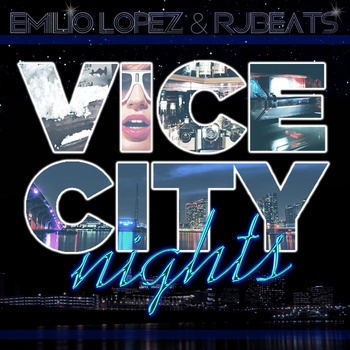 The project is collaborative in nature with Emilio Lopez holding down the duties on the mic while Barcelona based production duo, RJBeats controls the boards. I have really enjoyed hearing the numerous amounts of EPs this year that focus on using one producer with one emcee to give the projects some consistency without getting stale. Vice City Nights follows that template to a tea.